We offer you today’s extraordinary wine - at an extraordinary price - with our fullest recommendation! 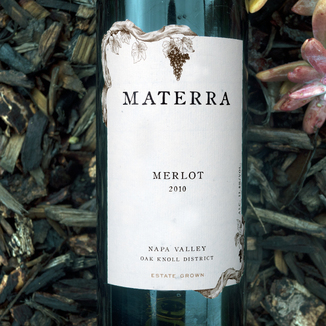 On paper, today’s Materra 2010 Napa Valley Oak Knoll District Estate Grown Merlot is a no-brainer, right? The proof is in the glass, though, and today’s wine delivers a knockout performance, from beginning to end. This Best of Show wine (San Francisco International Wine Competition) was made by the powerhouse team of Michael Truijllo & Bruce Regalia, both of whom boast serious pedigrees. 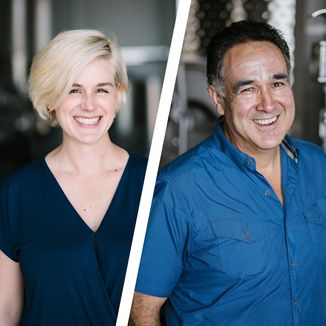 Michael Truijllo, who’s early winemaking tutelage came from winemaking legend, Andre Tchelistcheff is the current President and Director of Winemaking for Sequoia Grove Winery. Bruce Regalia led the multi-year award-winning Pinot Noir legacy at Goldeneye Winery. 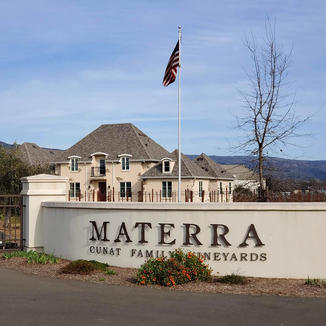 This formidable team now brings their collective experience to bear on the wines of Materra. Today’s wine has excellent color extraction, especially for Merlot, with a garnet core to a ruby edge. 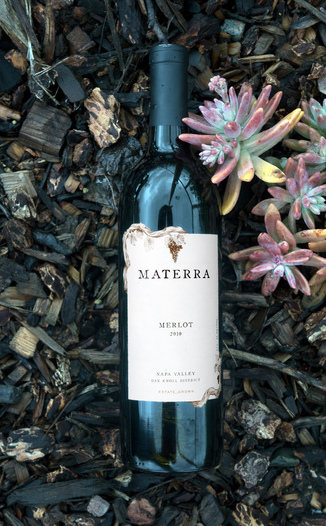 The nose on this wine is why Merlot is experiencing a renaissance - dark plum, olive, sage, passionfruit, and pomegranate. The palate is equally interesting, with a savory quality and flavors of rhubarb, cherry and blackberry compote, chocolate ganache, and garden herb. Like a great Bordeaux, the wine medium-bodied, balanced and structured with a tapered finish. It leaves an impression mostly at the front of the palate. This is definitely a “food wine” and would be best enjoyed with a heavier French dish like beef bourguignon. It has excellent color extraction, especially for Merlot, with a garnet core to a ruby edge. Dark plum, olive, sage, passionfruit and pomegranate. Rhubarb, cherry and blackberry compote, chocolate ganache, and garden herb. Like a great Bordeaux, the wine medium-bodied, balanced and structured with a tapered finish. It leaves an impression mostly at the front of the palate. This is definitely a “food wine” and would be best enjoyed with a heavier French dish like beef bourguignon.